The profits of China's central state-owned enterprises (SOEs) in May mounted to a record high compared with the same period historically, official data showed Wednesday. 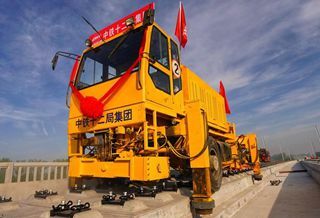 Combined profits stood at 155.19 billion yuan (24 billion U.S. dollars) in May, said the State-owned Assets Supervision and Administration Commission (SASAC). In the first five months of 2018, total profits reached 685.94 billion yuan, up 22.1 percent year on year, according to the SASAC. The total operating revenue of central SOEs grew 9.8 percent year on year to 11 trillion yuan in the same period. The SASAC said that central SOEs in emerging industries grew fast with revenues of enterprises in the telecommunication sector accounting for 50.4 percent of the total central SOE revenues. By the end of May, the average asset-liability ratio for central SOEs stood at 66 percent, down 0.3 percentage points from the beginning of the year and down 0.4 percentage points from a year ago.